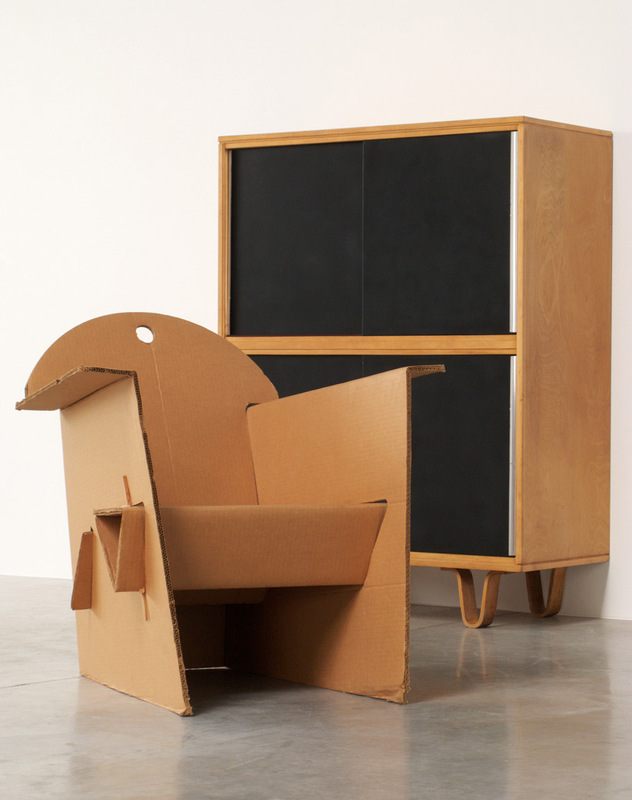 Armchair made of corrugated cardboard with chopsticks tying the horizontal support beam to the side walls. Designed by Olivier Leblois and produced by Kiosk Canada 1992. Fauteuil en carton ondulé avec des baguettes tenant la barre de support en position. Conçu par Olivier Leblois et produit par Kiosk Canada, 1992.